The subject of this painting was inspired by Lord Byron’s dramatic poem of 1821 about the life of an ancient Assyrian king named Sardanapalus. Finding his palace besieged by enemies, Sardanapalus decides to kill himself, but first orders his officers to destroy all his favorite possessions in his presence—his wives, pages, and even his horses and dogs. 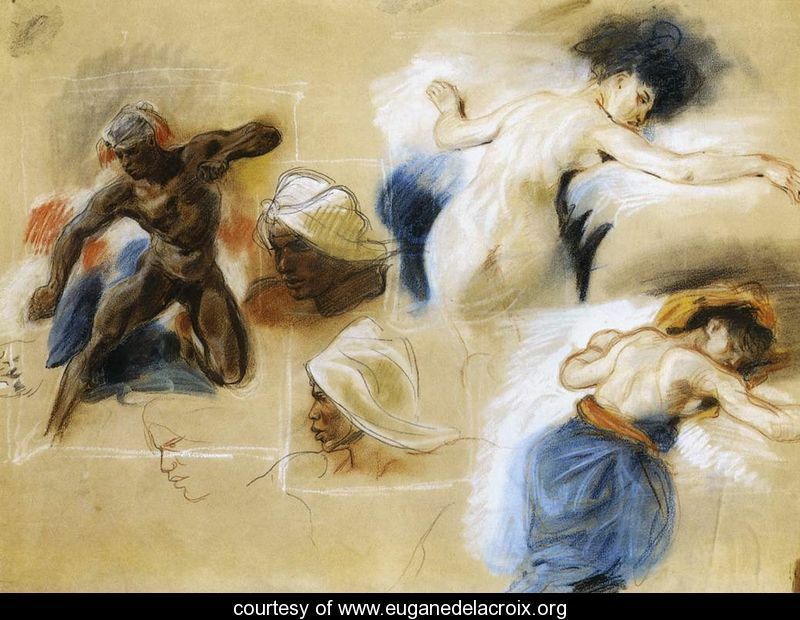 This painting is a replica of a much larger work, now in the Musée du Louvre, Paris, that Delacroix first exhibited in the Salon of 1827–28, where it received harsh criticism. Delacroix may have painted this Museum’s version for himself before selling the larger work in 1846. Byron e Delacroix, uma bela de uma combinação!